Dr Cornoiu is a Melbourne trained Orthopaedic surgeon who has joined Dr Beischer at the Victorian Orthopaedic Foot & Ankle Clinic. Dr Cornoiu has a particular interest in bunion and forefoot conditions, the management of plantar fasciitis and foot & ankle arthritic conditions. 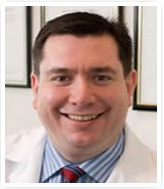 Dr Cornoiu also, has extensive experience in the management of foot and ankle trauma and fractures. As part of his clinical practice, Dr Cornoiu also has an active interest in Orthopaedic Foot & Ankle research and is dedicated to patient education and informed consent. "The use of multimedia technology to improve patient consent for Orthopaedic Surgery"